Failure to monitor the gaseous extinguishing system which is fundamental to the protection of the workers and asset is inadmissible. It imperils the lives of occupants of the premises. It risks incurring crippling financial and reputational loss to the facility is a fire event comprises the critical infrastructure. Regulations demand maintenance of the systems to ensure that they are operational in the event of a fire: ISO 14520-1:2015(E) assumes that these systems accidentally discharge and leak. The reality is that gaseous systems are checked for contents annually because they are pressurised and anything that is dynamic offers risk of loss of contents, but this fails to deal with the probability of discharge or leakage for the 364 days per annum in the interim between certification checks. Using pressure gauges to monitor your systems? 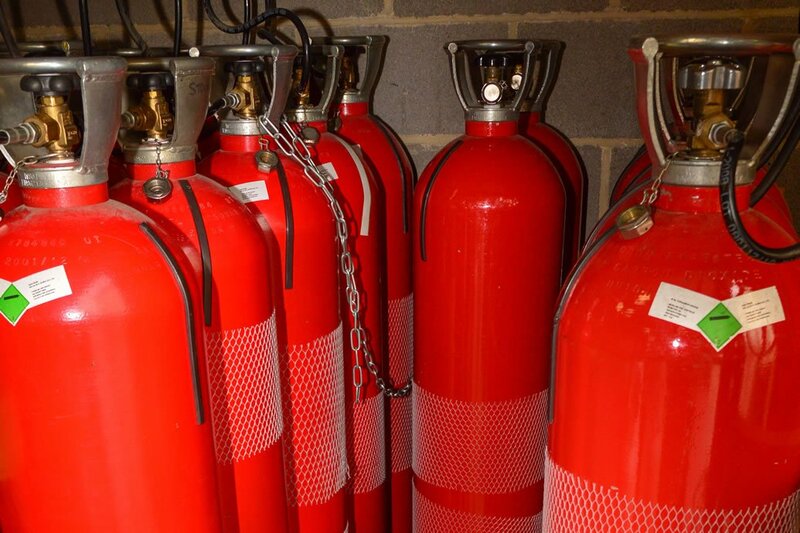 Generally speaking, when a portion of the contents of a pressurised suppression cylinder escapes, the internal pressure inside the vessel will decrease. However, due to the dependence of the internal pressure on the temperature of the agent and the difficulties involved in accounting for this, this can sometimes lead to false negatives, thereby endangering the lives of those in the vicinity. Testing fire suppression systems with an ultrasonic liquid level indicator is therefore a necessary test required to ensure that suppression systems are safe and functioning correctly. A change in temperature of just 5°C, for example from 17°C to 22°C can lead to significant changes in pressure in cylinders, while the liquid level remains comparatively constant. The below data demonstrates this for three typical super-pressurised cylinders. Official ISO and NFPA regulations state that if the pressure in a cylinder was to drop by greater than 10% of its initial value it should be replaced, however, if the temperature of the contents increases, the base pressure may increase by up to 5% (or more for greater temperature changes). This means that the equivalent isothermal pressure would have to drop by close to 15% before a leak is recognised. One should account for the effect of temperature when checking a pressure gauge however it is often difficult to determine an exact pressure value from a gauge (for example gauges frequently consist simply of a green section and a red section with widely-spaced tick marks). In addition to this, sometimes the internal temperature of the cylinder varies with respect to the ambient temperature. 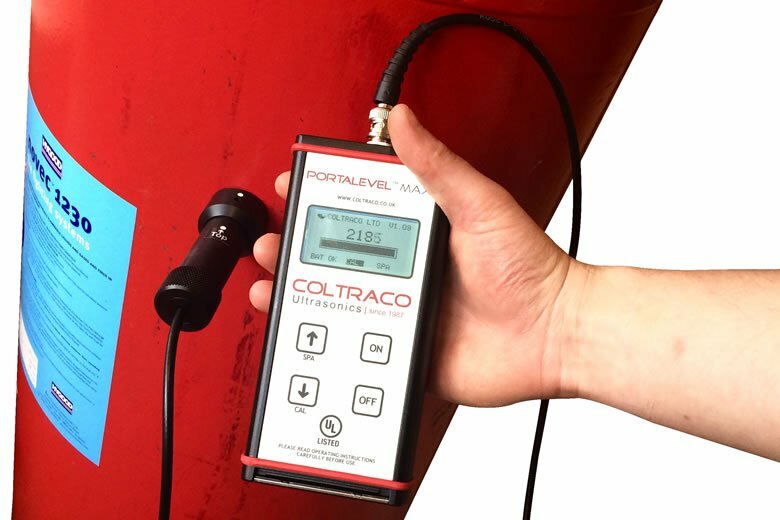 Given that the liquid level in a cylinder tends to vary far less with temperature, using a portable ultrasonic liquid level indicator (Portalevel® MAX) is a reliable method of detecting leaks in cylinders, even when pressure gauges fail to do so. Using the Portasteele® CALCULATOR in combination with the Portalevel MAX enables the recorded liquid level to be converted into agent weight which accounts for the change in ambient temperature. Unlike pressure gauges, using the Portalevel® MAX with the Portasteele® CALCULATOR is negligibly affected by temperature changes and therefore gives an accurate reading of cylinder contents. Choose smart technology today to ensure your systems will work in the event of a fire and that people and asset are protected. Enquire today for the Portalevel® MAX & Portasteele® CALCULATOR.